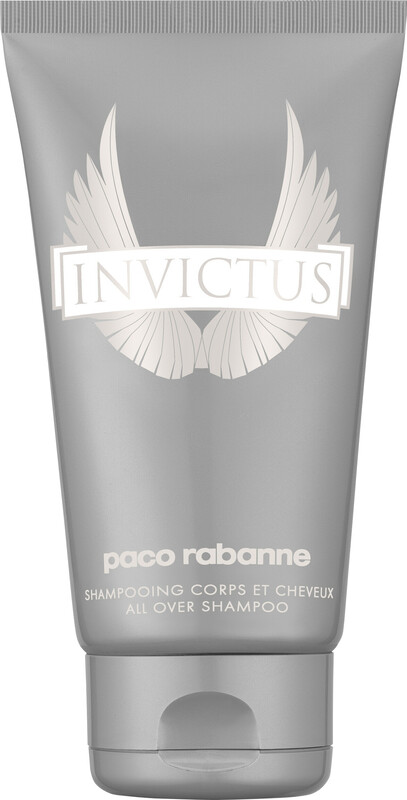 Scent and refresh your skin with the Paco Rabanne Invictus Hair and Body Shower Gel. The power-packed formula works to rid the body of daily dirt and grime without making the skin dry. Its cleansing agents regulate the skin and the hair to make sure you feel fresh, while the inimitable Invictus scent of grapefruit zest, gaiac wood, ambergris and patchouli promotes feelings of invigoration. Apply to damp skin and hair, massage in, and then rinse away thoroughly. Follow with the matching Invictus Deodorant Spray and Eau de Toilette to ensure rich and long-lasting scent. Paco Rabanne Invictus All Over Shampoo 150ml is rated 5.0 out of 5 by 2. Rated 5 out of 5 by jornat from delighted! Gorgeous fragrance and the recipient was delighted!